OK Go videos: They’re surprising, clever, and eminently re-watchable. They also have an appealingly handmade feel to them, harkening back to a time when digitally manipulating images was too expensive for a music video. For the stop-motion classic “Sledgehammer” (1986), Peter Gabriel had to lie still for hours, beneath a plate of glass, while people from Aardman Animations manipulated fruit above him. And they’re unapologetically Art with a capital “A.” Yes, OK Go hopes you’ll buy the band’s music, but the videos don’t feel like they’re trying to sell you anything beyond the sheer enjoyment of watching creative minds trying to create something beautiful. If this were the 1980s, I would be waiting by the TV, ready to hit “Record” on the VCR when the next OK Go video came on. Fortunately, today, I can simply collect eighteen of them right here, on this webpage. The first OK Go video choreographed by Trish Sie (sister of lead singer Damien Kulash), “A Million Ways” is also OK Go’s first viral video. Co-directed by Sie and OK Go, it establishes a key piece of the band’s video aesthetic: performed live, all in one take. It also introduces dance as a recurring motif. It’s not that their pre-“Million Ways” videos are bad. “Get Over It” (2002), “Don’t Ask Me” (2003), “Don’t Ask Me (Dance Booth version)” (2003), and “You’re So Damn Hot” (2003) are all visually compelling, and some even buck convention — the ping-pong pause in the middle of “Get Over It,” for example. But “A Million Ways” starts their period of video innovation. Also choreographed by Trish Sie and co-directed by her and the band, “Here It Goes Again” is in many ways synonymous with the term “viral video.” If you’ve been on-line in the past eight years, you’ve almost certainly seen this one. It ups the ante on “A Million Ways”: not only are they performing choreographed dance moves, but they’re doing it all on treadmills (all of which, incidentally, were set up in Sie’s basement). It inspired many fan videos, a Simpsons tribute, and the band even performed the dance live (on treadmills!) at the MTV Video Music Awards. Directed by Tim Nackashi and OK Go, “Invincible” is… well, actually, less of an eye-opener than the previous two. Using multiple takes, it juxtaposes shots of the band performing (on one side of the screen) with stuff getting blown up (on the other side of the screen). It harkens back to the pre-“A Million Ways” period. But you can’t expect genius every time. And, anyway, it still has sharp visuals, and is fun to watch. There’s actually an earlier video for this song, directed by Olivier Gondry, but I can’t find it on-line. This video, directed by Damian Kulash, finds the group back in risk-taking mode. Wearing outfits that match the wallpaper behind them, the band and other performers rock out. But because the costumes prevent us from seeing their faces, even the rock stars become oddly anonymous, phantoms launched from the wallpaper. I think also of the masked couple in Magritte’s The Lovers (1928) — intimacy obstructed by cloth. Here, we have improbably energetic performers, encased in wallpaper suits. But there’s still a tension between what you expect (stasis) and what you get (activity). With “WTF?”, the first video from Of the Blue Colour of the Sky, OK Go is fully back in innovation mode. Directed by Tim Nackashi and OK Go, the band creates another video which prompts you to wonder OK,… so, how did they do that? Knowing that we’d wonder how they did it, the band also created what I think is their first making-of video, something that would become a regular feature. The first, and less famous, of the two “This Too Shall Pass” videos features the University of Notre Dame’s Band of the Fighting Irish and took 20 takes to get right. Brian K. Perkins and OK Go directed the piece, shot in a single take. I love that they recorded a whole new arrangement of the song for the video, too. Directed by James Frost, OK Go and Syyn Labs, this is the better-known version of “This Too Shall Pass.” In some ways, it inaugurates an even more ambitious period of video-making for the band — and establishes the Rube Goldberg Machine as a key part of the OK Go aesthetic. There’s a series of behind-the scenes videos, of course! Filmed over the course of 18 hours (including a period when the band sleeps! ), and then sped up (at different speeds), “End Love” also features… a goose! They shot the video in a park, and the goose, evidently, wanted to be a part of it. Hey, can you blame her? 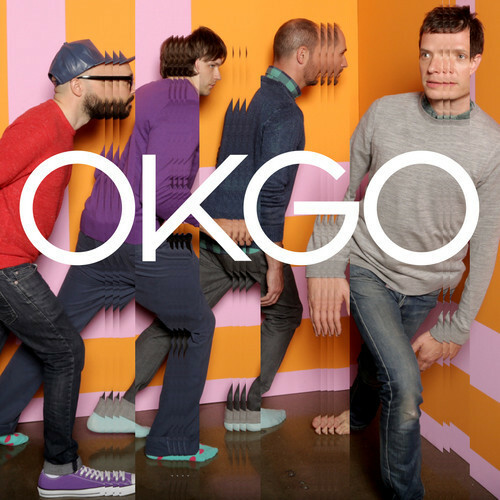 Directed by OK Go, Eric Gunther, and Jeff Lieberman. Bringing back choreographer Trish Sie, “White Knuckles” shows the band mastering the art of… stacking! Yes, stacking. And working with dogs. Again, shot in one take! And, yes, there’s a series of behind-the-scenes videos for this one! A stop-motion video using over 2000 pieces of toast, each laser-cut with art by the band and Geoff Mcfetridge. The notion of telling a story via animation on toast compliments this quiet song’s themes of longing and impermanence. Sure, it’s an unusual way to express these ideas, but that sense of novelty is what makes it an OK Go video. In this video, OK Go takes its fans on a GPS-led parade through L.A. Their goal? To use a GPS app to spell out “OK Go.” The New Orleans vibe of the parade has its pleasures, but the concept is more fun than actually watching the video documenting the concept. Still, though, I give them credit for trying something different. Fearturing the dance troupe Pilobolus, and directed by OK Go, Pilobolus, and Trish Sie, “All Is Not Lost” brings us back to the Wow! How did they do that? for which OK Go has rightly become famous. There is also an interactive version of this one, which is well worth checking out. Really. It is “way cooler,” just as the video (below) tells you. Also, for those who want to know how it was made, there’s a series of behind-the-scenes videos. And you bet there’s a behind-the-scenes video series for this one! The final video from Of the Blue Colour of the Sky, “Skyscrapers” features choreographer Trish Sie dancing the tango with Moti Buchboot. Sie also directed it. Brightly colored, elegant, and absorbing, the video is a reminder of the band’s understanding that we (its audience) don’t require Rube Goldberg machines to hold our attention. It’s also nice to see Sie — who launched the band’s career as video auteurs — move to a starring role. If you’ve watched the preceding videos, now… watch the meta-video! OK Go and the Muppets pay homage to the OK Go oeuvre and, of course, to the Muppets! For Sesame Street, OK Go did a stop-motion video explaining the primary colors. Watching it again reminds me, too, that their post-“A Million Ways” videos all have an almost childlike playfulness to them. There’s a sense of hey, what if we tried this? The end result requires careful planning, of course. But the band and their collaborators seem animated by a spirit of adventure and experimentation. And that brings us full circle, back to the first video from their latest record (Hungry Ghosts, which I strongly recommend). It’s another single-shot video, but this time the emphasis is on optical illusions. It reminds me a bit of the optical-illusion street art where, from the correct angle, the street has suddenly become (for example) a cliff. Directed by Aaron Duffy, Damian Kulash, Jr. and Bob Partington, “The Writing’s on the Wall” is great fun to watch. And that, friends, is the theme of the OK Go videos. They are fun. The band is making art because it is fun to make art. They’re art for art’s sake in the very best sense of that term. On this one, they’ve gone one better on their making-of videos, creating an interactive making-of video. It’s as fun as the video itself. I hope you’ve enjoyed this tour of OK Go’s music-video oeuvre. I wonder what they are planning now…? 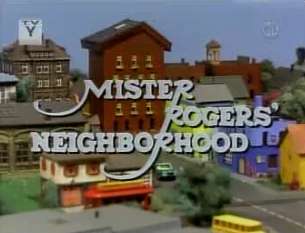 Delightful remix of clips from Mr. Rogers’ Neighborhood, in which (thanks to auto-tune) Fred Rogers extols the virtues of being curious. John Boswell (a.k.a. MelodySheep) has done a fine job here. If you’re interested in purchasing a copy of the song (“Garden of Your Mind”), it’s included on his album Remixes for the Soul. Hat tip to Josh Pearson (via Facebook). 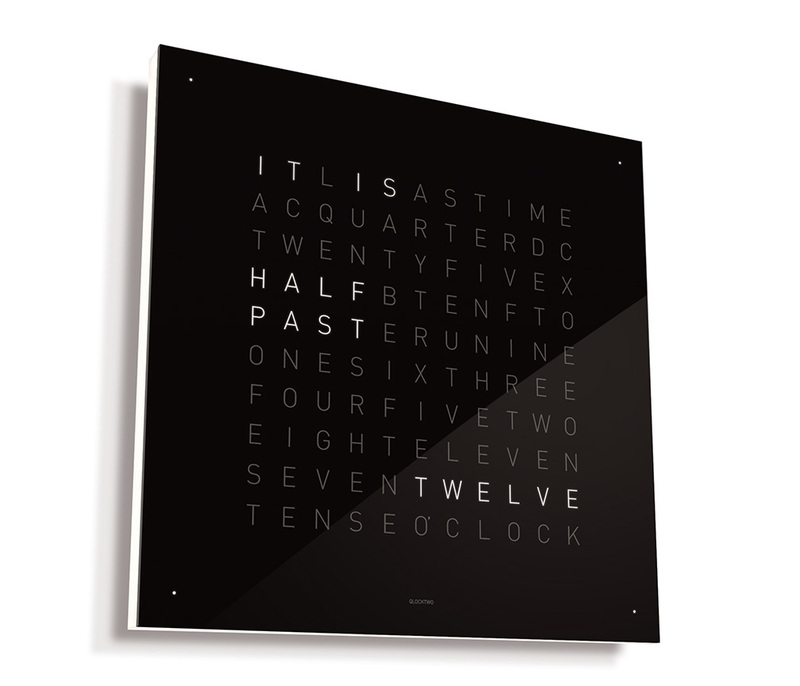 Biegert & Funk’s QlockTwo is a beautifully designed clock. I’ve an image below, but before reading further you might experience it for yourself (on B&F’s webpage). As the iTunes reviews indicate, it would be great if one could make this app the phone’s background. As reviewer JLSchend notes, “I see the time on the wallpaper long before I open the app.” However, the point of the QlockTwo app is not instant access to the time. The point is to provide an aesthetically and emotionally different experience of time. Digitally rendered time, with numbers and colons, is exact, keeping track of each second as it slips away. The second hand on a clock face also tracks time’s relentless dissipation, but, without numbers marking each second’s passing, clock time seems to move with less insistence than digital time. The Qlock’s rendering of time as text, however, abstracts the temporal from both the spatial (clock face) and digital (numbers and colons). Time’s past and future are not mapped as they are on a clock face. And the absence of a digital timepiece’s swiftly accruing seconds gives a feeling of slowness, of being in the present. Unlike other timepieces, the Qlock does not emphasize time passing. Instead, it narrates the gradually changing present. Since Lady Gaga’s new single “Born This Way” made its debut last month, critics have alleged that the song is “derivative” or even a “rip off” of Madonna songs like “Express Yourself.” And, of course it is. But that also doesn’t matter in the least. All pop music is derivative. “Express Yourself” (1989) borrows from the Staple Singers’ “Respect Yourself” (1971). This fact eludes those who allege thievery on behalf of Lady Gaga — presumably because people like to believe that pop music is original. Great pop is not original. It just sounds original. Chuck Berry’s classic riff in “Johnny B. Goode” (1957) — one of the founding tunes of rock-and-roll — comes from Carl Hogan’s riff for Louis Jordan’s “Ain’t That Just Like a Woman” (1946). Nirvana’s groundbreaking “Smells Like Teen Spirit” (1991) takes its chorus’ chord progression directly from Boston’s “More Than a Feeling” (1976). The Raconteurs’ “Steady As She Goes” (2006) borrows its baseline from Joe Jackson’s “Is She Really Going Out With Him?” (1979), a song which takes its title from the opening line of the Shangri-Las’ “Leader of the Pack” (1964). It’s possible, too, that Jackson’s song also bears some influence from the Damned’s “New Rose” (1977), which begins by quoting that same opening line from the Shangri-Las. Did listening to the Damned inspire him to use that Shangri-Las line? I’m not sure, but it strikes me as a possibility. When one artist sues another, these sorts of borrowings make the news, and thus we learn how the Chiffons’ “She’s So Fine” (1963) may have unconsciously influenced George Harrison’s “My Sweet Lord” (1970) — a song from which Wilco’s “You Never Know” (2009) quotes (and quotes directly, at the 3-minute mark). 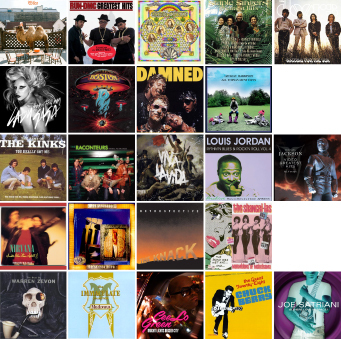 Or how the Knack’s “My Sharona” (1979) turns up in RUN-DMC’s “It’s Tricky” (1986), or Joe Satriani’s “If I Could Fly” (2004) seems to emerge in Coldplay’s “Viva la Vida” (2008). I say “seems to” because I suspect that a lot of these borrowings happen unconsciously. Whatever the reason, a lot of pop music sounds like a lot of other pop music. Lynyrd Skynyrd’s “Sweet Home Alabama” (1974) becomes Warren Zevon’s “Werewolves of London” (1978), the Kinks’ “All Day and All of the Night” (1964) turns into the Doors’ “Hello, I Love You” (1968), and Michael Jackson’s “Billie Jean” (1982) re-emerges as Cee-Lo’s “Bright Lights, Big City” (2010). So, yes, Lady Gaga bears Madonna’s influence. But pop music is born this way. 1. Best novel that I missed when it came out: Guus Kuijer’s The Book of Everything (Scholastic, 2006). Narrated by a nine-year-old, this is an all-ages book about love, faith, and growing up. It has a sense of humor, too. I devoted a post to this book earlier in the month. Mesmerizing. 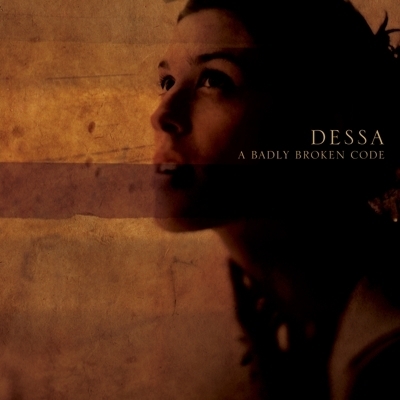 There are also quieter pieces, like “Poor Atlas” or the concluding song “Into the Spin.” And compelling, moving narratives about relationships, like “Mineshaft II” and “Go Home.” I had never heard of Dessa before listening to this album (she has one earlier EP), but I’ll definitely keep an eye out for anything else she does. 3. 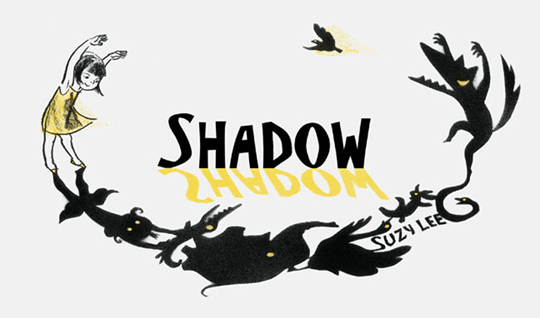 Picture Book of the Year: Suzy Lee’s Shadow. There were many great picture books this year, but this is one I’d like to see get more attention. I loved Lee’s debut, Wave (2008), a wordless story of a girl, some gulls, and a wave. Shadow shows that Lee is here to stay. 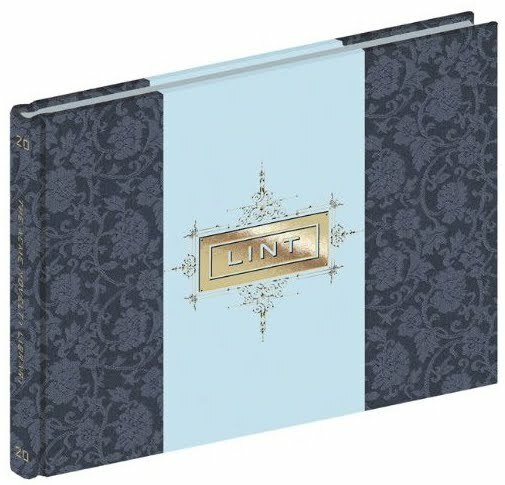 You hold the book so that the binding is horizontal, and then lift the pages up. Above the gutter, a little girl plays in her basement; below it, the shadows convey what she imagines… or do they? As in Where the Wild Things Are, this beautifully designed book knows that the imagination can have a life of its own. 4. 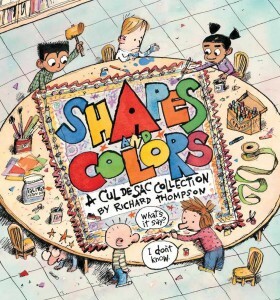 Best Comic Strip of 2010: Richard Thompson’s Cul de Sac. To read Cul de Sac is to watch a classic being written. I’m reminded of reading Bill Watterson’s Calvin and Hobbes as it was being published. I look forward to each day’s strip, and am impressed by the fact Thompson’s invention never seems to flag. Even more impressive is that the humor isn’t scattershot like Pearls Before Swine: Stephan Patsis’ strip is funny, but I always get the impression that there’s no gag he wouldn’t try. There are gags Thompson wouldn’t try. His humor almost always develops from the characters themselves. If you’ve not read this strip yet, you can read it on Go Comics, or buy any of the four collections — Shapes and Colors is the latest. 5. Best Graphic Novel of 2010: Chris Ware’s Acme Novelty Library No. 20 (Drawn & Quarterly, 2010). With a modernist’s eye for detail, Ware tells the life story of Jordan Lint, a bully who used to pick on Rusty Brown (featured in Acme Novelty Library Nos. 16 & 17). The scenes of Jordan’s childhood are worth the price of admission alone: shown from Jordan’s perspective, Ware beaks down the universe into the shapes and objects that a baby sees. Flattening perspective and labeling each item (tree, car, ant, momma, dad) as if it were a children’s book, one two-page spread shows Jordan witnessing his father hitting his mother. The layout is bright and beautiful, like a Mondrian painting, but the content is dark — and foreshadows later, troubling developments in Jordan’s personality. Ware’s dense pages that require re-reading, his panels that can be read in more than one sequence, and his extraordinary sensitivity to space, sound, light, time … tend to slip by all but the sharpest students when I teach his work. But connoisseurs of comics, and my best students, know they’re reading the work of a master. He’s the James Joyce or Virginia Woolf of the graphic novel. And Acme Novelty Library No. 20 is one of his best. 7. Most interesting person to follow on Facebook: Mark Newgarden. Mark uses Facebook like others use Twitter — he post links to curiosities, most of them on YouTube. Recurring subjects include rare animation, and silent films. I have no idea where he finds all of this stuff. I like, here, the inversion of expectations: you think that actually having a reaction (Burnett’s) might be the more reliable gauge of how contemporary children reacted, but Bernstein deftly challenges that assumption. Her book, Racial Innocence: Performing American Childhood from Slavery to Civil Rights is due out from NYU Press in 2011. You can bet I’ll be buying a copy. 9. Best TV Show: Mad Men. Confession: I watch very little (in fact, almost no) TV. 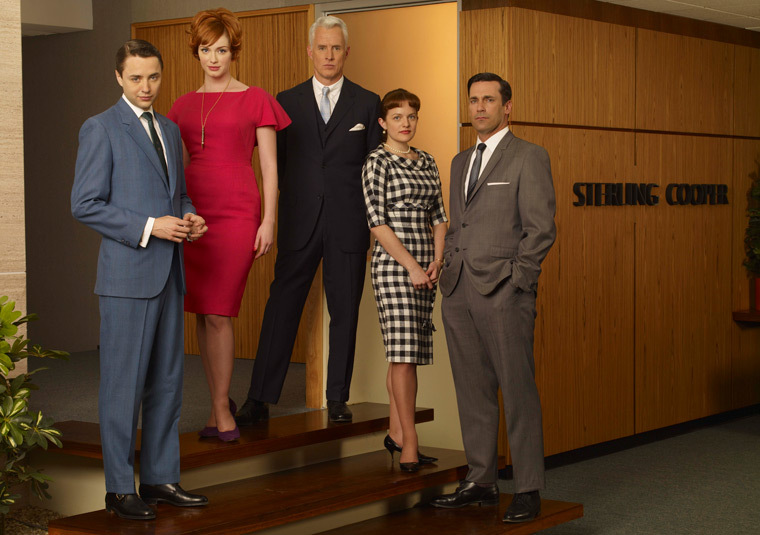 I just started watching Mad Men this year (on DVD), and have just finished season 2. So, I’m unequipped to comment on the latest season. But what I enjoy about the show is the uneasy juxtaposition of nostalgia for the style of the early 1960s with the lack of nostalgia for the prejudice, sexism, disregard for the environment, etc. It’s the close proximity of a longing for the look of the time coupled with a distaste for the attendant social mores — that makes the show work. I also enjoy the fact that it does not editorialize: it simply presents homophobia, sexism, racism, with the knowledge that its viewers will find the behavior repellent. It helps, of course, that sympathetic characters (Don, Peggy) are more tolerant of difference and more sympathetic to people on the margins of society. But I find the blunt presentation of ugliness in such a lovingly recreated setting to be very compelling viewing. 10. Best App: Angry Birds. As is true of the above comment, I’m rather unequipped to be claiming what’s “best” here: I don’t spend much time playing games on the iPhone. Furthermore, I have not played video games of any kind in over 25 years. In fact, this is the only game I play at all. 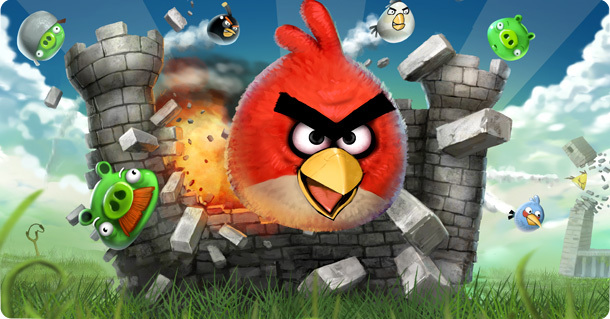 Anyway, Angry Birds has a delightful mix of cuteness and aggression, whimsy and competitiveness. I also like that it’s not addictive. It’s enormously fun to play, but then I can put it down for days (weeks!) and do other work. How many people have lent their names to a speech act? I’m not thinking of proper nouns that denote a literary style (Dickensian, Kafkaesque, Proustian), but of a specific syntactical, grammatical, or other linguistic act named for a person. This is what I’ve come up with. Bowdlerize: named for Thomas Bowdler (1754-1825), who in who in 1818 published an edition of Shakespeare, “in which those words and expressions are omitted which cannot with propriety be read aloud in a family.” The word, as the Oxford English Dictionary (OED) tells us, is a transitive verb, meaning “To expurgate (a book or writing), by omitting or modifying words or passages considered indelicate or offensive; to castrate.” It’s also a common phenomenon in literature for children. 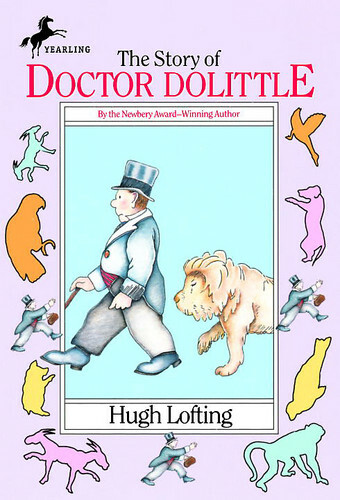 The 1988 edition of Hugh Lofting’s The Story of Doctor Dolittle (1920) removes all references to skin color, and changes the scene in which Polynesia tricks Prince Bumpo: instead of preying on his desire to have white skin (as she does in the 1920 edition), she hypnotizes him. Spoonerism: named for William Archibald Spooner (1844-1930), who had a habit of swapping the initial sounds of words. And that’s what it means: “An accidental transposition of the initial sounds, or other parts, of two or more words” (OED). In children’s literature, Tove Jansson’s Thingumy and Bob (from her Moomin books) speak in Spoonerisms. 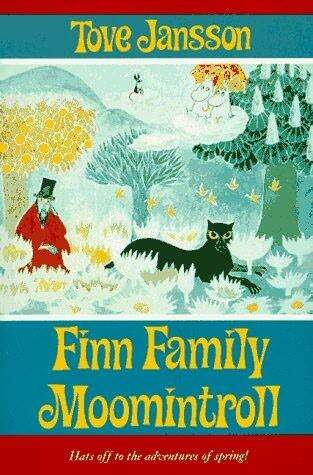 In Finn Family Moomintroll (English translation, 1958), Thingumy “can fell smood” (smell food) and wonders whether they can go into the Moominhouse. Bob says, “Don’t be frightened if they’re gross and crumpy” (cross and grumpy). For a more recent example, Shel Silvertein’s Runny Babbit (2005) contains 40 poems full of Spoonerisms. So. Are there other speech acts named for specific people? What have I missed here? 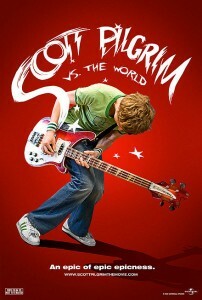 Just back from Scott Pilgrim vs. The World, which (as you may have read by now) is a fantastic adaptation of Bryan Lee O’Malley’s si­x-volume series of graphic novels. This is why. Director Edgar Wright understands what O’Malley is trying to do. As in the books, the film treats narrative as a playful, allusive, genre-bending game. Put another way: it’s not about the story. It’s about the way O’Malley and Wright tell the story — virtuosic understanding of form, kinetic sense of visual movement, and hyper-consciousness of … everything. Really — of everything. Narrative structure, video games, comic books, action films, rock clichés, sit-coms, and emotion. I say emotion because at the heart of the story, there is, well, heart. Three hearts. Scott Pilgrim’s, Ramona Flowers’, and Knives Chau’s. And all three characters do learn something about love during the film — that it comes with baggage, that you need to respect yourself, and that it’s worth fighting for. That emotional resonance — wonderfully delivered by Michael Cera (Scott), Mary Elizabeth Winstead (Ramona), and Ellen Wong (Knives) — gives this fast, funny, clever film enough weight to keep things grounded. What’s fun, though, is the way Wright packs the scenes with references and jokes. O’Malley does this sort of thing, too. The little boxes that give you “fun facts” about the characters also appear in the comics, as do the references to videogames. Wright does, of course, make some changes — moving pieces of plot around, adding some new gags and scenes. But he understands the essence of what O’Malley is doing. If we (taking Linda Hutcheon’s advice) think of adaptation as a kind of translation, then these two quotations from Walter Benjamin’s “The Task of the Translator” are key to evaluating any film version of another work (in this case, Wright’s version of O’Malley’s novels). First, “no translation would be possible if in its ultimate essence it strove for likeness to the original. For in its afterlife . . . the original undergoes a change.”1 Second, “[t]he task of the translator consists in finding that intended effect [Intention] upon the language into which he is translating which produces in it the echo of the original.”2 I have no idea whether Wright has read Benjamin, but he grasps both of these ideas. In the case of the first, he understands that attempting to undertake a “faithful” adaptation is impossible. As Hutcheon3 notes, different media have different strengths and weakness: attempting a literally faithful adaptation simply doesn’t work. What works in a comic-book format will not necessarily work on screen, and vice-versa. In the case of the second point, Wright sees O’Malley’s intended effect, which is not merely a mash-up of a relationship story with ninja narratives and Final Fantasy II. It is this, but it’s also using the storytelling techniques of these media to tell its own story. And it’s the confidence in deploying these techniques with the precision, verve, and nerve that only a master can do. 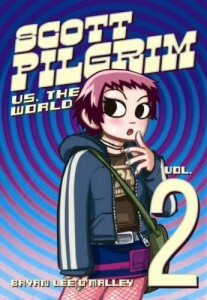 I know that Scott Pilgrim vs. the World has received a lot of hype … along with reviews by some people who didn’t get it (deftly dismantled by Linda Holmes at NPR). This a case though when one can safely dismiss the detractors and (with apologies to Chuck D) believe the hype. Beyond the film’s many innovations, it’s also a really fun evening at the movies. 1. Walter Benjamin, “The Task of the Translator,” Illuminations: Essays and Reflections, edited by Hannah Arendt, translated by Harry Zohn (1968; New York: Schocken Books, 1985), p. 73. 2. Benjamin, Illuminations, p. 76. 3. Any interesting insights about adaptation here derive from Linda Hutcheon’s excellent book, A Theory of Adaptation (New York and London: Routledge, 2006). Any other insights likely derive from my own essay on the Harry Potter movies: “Lost in Translation? : Harry Potter, from Page to Screen,” which appears in Harry Potter’s World: Multidisciplinary Perspectives, revised edition, ed. Elizabeth Heilman (Routledge, 2009), pp. 275-290. Anyway. Some scholars manage to shift the paradigm, changing the discussion. Malcolm Gladwell’s The Tipping Point (2000) is a popular example; Scott McCloud’s Understanding Comics (1993) is another. In the field of literary studies, one could point to Harold Bloom’s The Anxiety of Influence (1973), Eric Lott’s Love and Theft (1993), or Shelley Fisher Fishkin’s Was Huck Black? (1993) — among many others. And then you have people like me. Some (much?) of my scholarship is the academic equivalent of the musical mash-up. Instead of combining a song by Jay-Z with one by the Beatles, I make a similar move with ideas — placing a set of ideas in a different context, and coming up with something unusual. Read Dr. Seuss through theories of the avant-garde and postmodern, and you — well, I — get “Dada Knows Best: Growing Up ‘Surreal’ with Dr. Seuss” (article, 1999; book chapter, 2002). Write on Don DeLillo while teaching Introduction to Women’s Studies, and — voila! — “Amazons in the Underworld: Gender, the Body, and Power in the Novels of Don DeLillo” (article, 2001). Where odd ideas collide, you’ll find me. I admire people who have the paradigm-shifting ideas. But I’m not one of those people. Perhaps my tendency to pursue many projects simultaneously prevents the sort of reflection that leads to the Big Ideas. Or maybe that my mind simply doesn’t work that way. Likely, both are factors. After getting my doctorate, I concluded that a rigorous publishing regimen was the only path out of adjuncthood and into a tenure-track job. Kathleen Fitzpatrick, who earned her Ph.D. at the same time I earned mine (exactly one year later, in fact), did something different. Instead of arriving at a conclusion, she asked a question: Why? Why do we publish in academic journals and with academic presses that take years to print our work and that few non-academics read anyway? Why not post our work on-line, via a blog? While I toiled away within the publish-or-perish paradigm, she challenged the paradigm … and has begun to change it. Thanks to her Planned Obsolescence blog, her many invited talks, and her forthcoming book (named for her blog), Kathleen is shifting the way that academics think about publishing. My motto for the past decade has been: Enhance production! Hers is something more like: Change the mode of production! I intend the echo of Marx in that last sentence to evoke less his ideas, and more the boldness of his thinking. As an untenured academic, Kathleen took a risk in questioning the system she aspired to join. Wisely tempering that risk, she did (and does) also publish scholarship through traditional venues, of course — via academic presses, academic journals. Though I co-edited a collection of radical children’s literature, my own career path has been much more conservative. True, I have had a website since 1997, but — for the bulk of my scholarship — I have stuck almost exclusively to traditional modes of publishing. If the mash-up is the controlling metaphor for my scholarship, then the purple crayon is the metaphor for hers. Instead of doing the usual thing and creating a story about a character, Crockett Johnson had the idea to make his character the author of his own story. In doing so, he created a classic of children’s literature — Harold and the Purple Crayon — in which the title character draws a universe out of a single crayon. His adventures get him into a few tight spots, but, keeping “his wits and his purple crayon,” Harold draws his way out … and into another six books. So, hoping that you keep your wits and your purple crayon (or blog, or vlog, or insert other medium here), remember there’s more than one path to success. Why not draw your own?